Eagle Scout Landon Rhodes (left) shows Webelos Cub Scout Joey Bartu the art of making a fire. 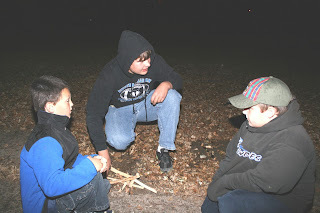 From the left Cub Scout Jackson Beethe watches as Boy Scout Blake Papik shows him and Webelos Scout Johnny Babula another way to build a fire. 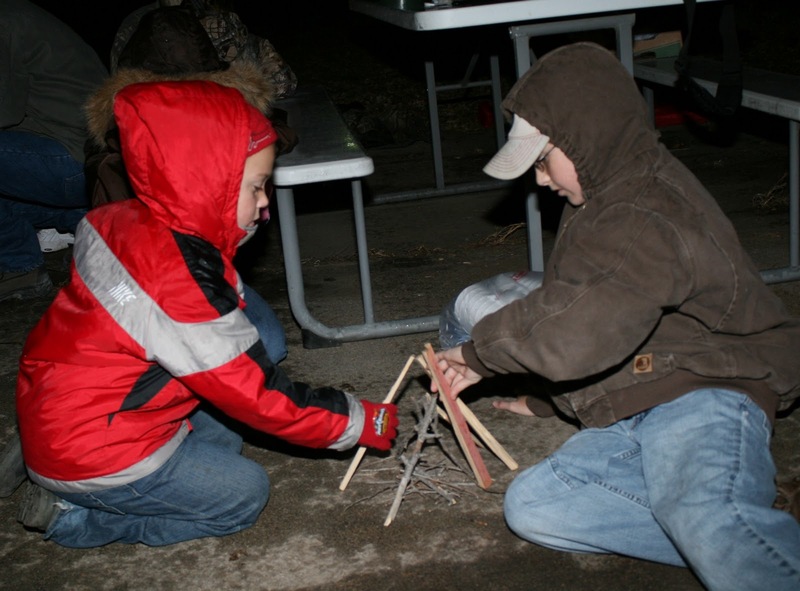 Tiger Cub Alec Schlueter, left, learns how to build a teepee fire from Boy Scout Elliot Erdkamp. 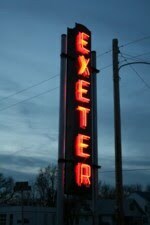 As part of the flag retirement ceremony the Exeter Cub Scouts lowered the flags into the fire. Holding the flag on the left is Eric Olsen with Joey Bartu on the right. 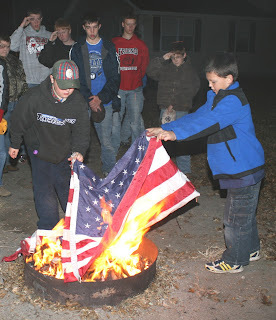 "It isn't a flag burning time, it's a flag retirement ceremony and the boys need to understand that," said Boy Scout Troop Scoutmaster Warren Thomsen. It was a night for Scouts to learn about respect. 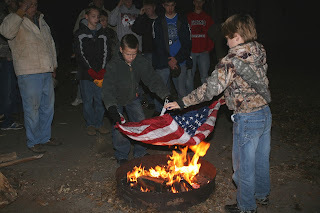 Respect for older scouts teaching younger scouts, respect for fire and most of all, respect for the flag. Scouts wear a flag on their uniform, practice the pledge at most of their meetings and often conduct flag ceremonies. Each level of scouting requires learning about the flag, how to properly respect the flag, how to raise the flag indoors and out and how the flag should be treated. 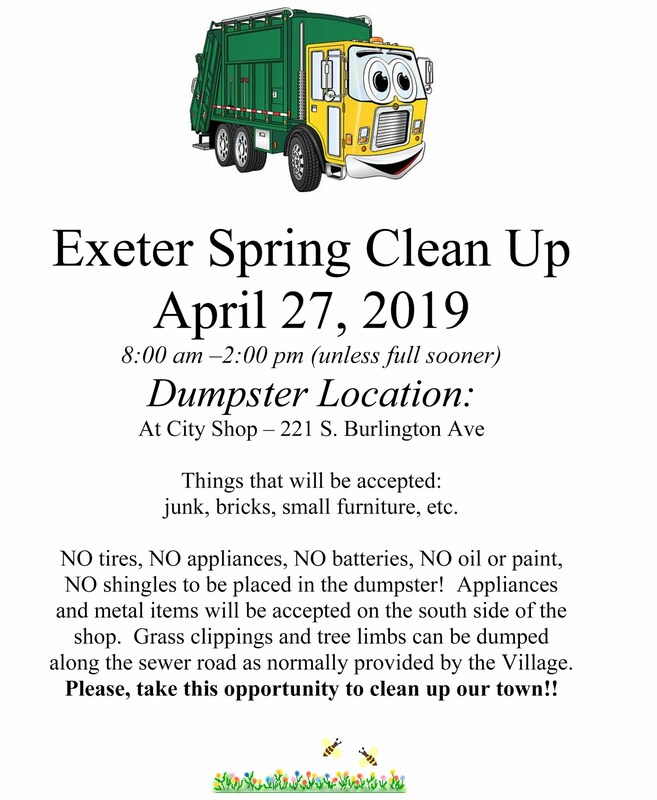 This week, Exeter Cub Scouts Pack 218 learned from the Cordova Boy Scout Troop 359 how to retire the flag. 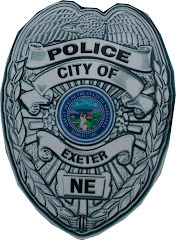 The boys met in Exeter at home of Ken and Lyn Strate and first learned about fire. 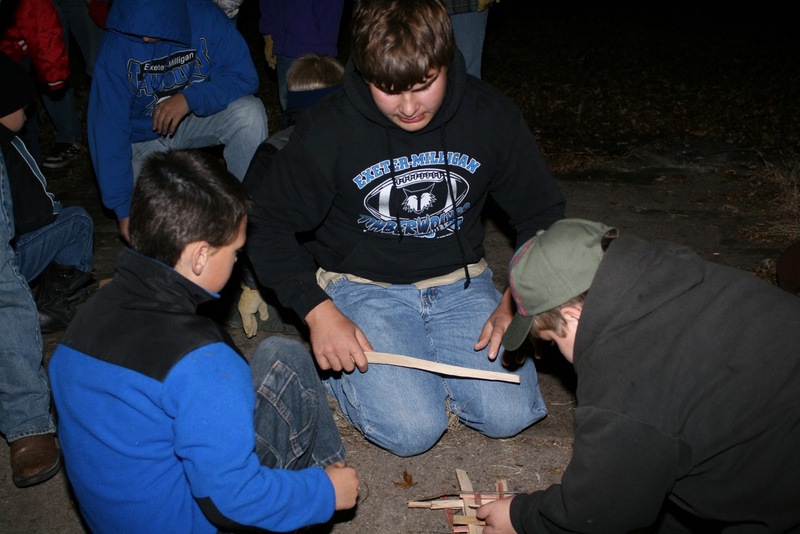 The boy scout troop members took one or two of the cub scouts and demonstrated fire building with several different methods. 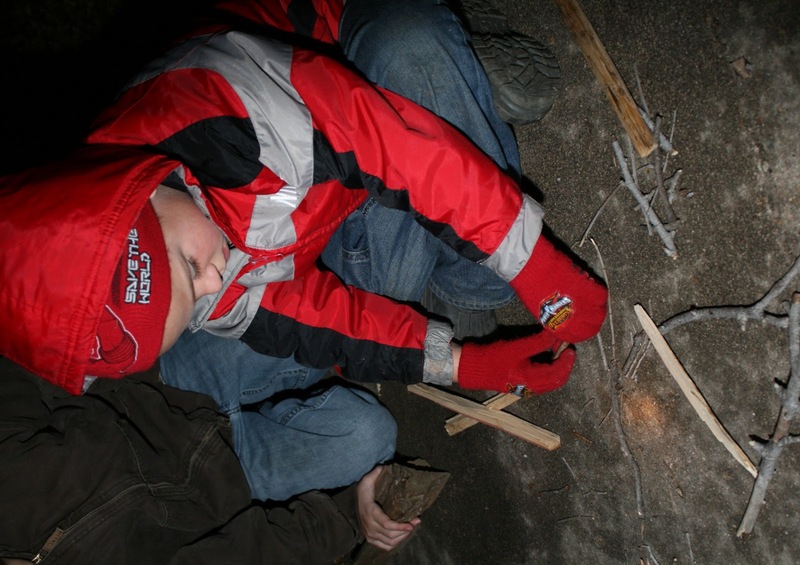 They then gave the cub scouts the opportunity to build their own fires. 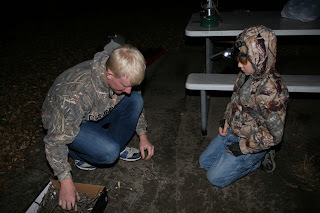 While the fires were not lit that night, the cub scouts learned about many different methods of building a fire. Along with learning how to construct a good fire, the boys learned a lot about campfire safety. Scoutmaster Thomsen shared many helpful camping tips and food preparation tips with the scouts. After cooking hot dogs and smores over the fire the boys had the opportunity to fold flags in preparation for the flag retirement ceremony. Boy Scouts and Cub Scouts paired up and practiced their flag folding skills. After the flags were readied for the ceremony, the Cub Scouts, in pairs, opened the flags, folded them to fit the fire and then solemnly lowered them. After the flags were retired, Boy Scout Troop 359 Assistant Scoutmaster Steve Rhodes read a poem to help the boys understand the meaning of the flag and Boy Scout Blake Papik played Taps and Taps Echo. As part of earning their Arrow of Light, the highest award in Cub Scouts, the Webelos Scouts must attend an outdoor activity held by a Boy Scout troop. Five Webelos Scouts in Pack 218 completed this requirement during the evening. BELOW: Webelos Cub Scout Johnny Babula, left, and Wolf Cub Scout Jackson Beethe, right, solemnly lower the flag into the fire.